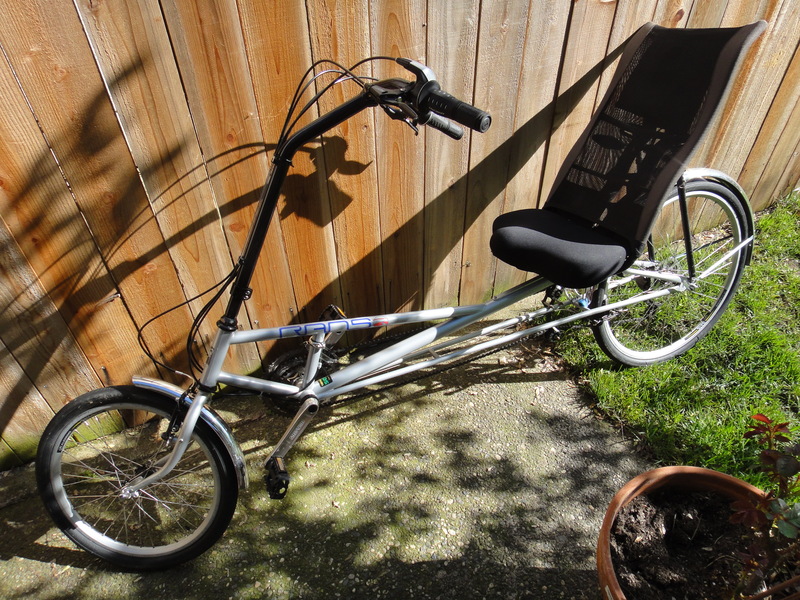 I bought RANS Stratus XL recumbent bicycle and it was dismal. I had an arthritis flare-up and was too disabled to ride singlespeeds or fixie bikes so I bought the RANS. I wanted to like it because of its quality and because I could ride it for hours in comfort, the seat was a dream. But it was dangerous and boring to ride. It weighed 30 lbs. or so and it was the long wheelbase bike so hard to get through gates and doors-it had to live in the garage. At slower speeds it wobbled so bad I had trouble keeping it on my side of the bike lane. Hills requires shifting down and down, spinning away while wobbling badly. It had 27 gears and I felt I needed 37 because you can’t stand up to put your weight on the pedals. The tiny 20 inch front wheel gives no confidence in cornering or braking. A normal bike’s front brake does most of the stopping but not so on the RANS, not with that tiny front wheel. The chopper-like steering angle and tiller means it steers like a chopper, badly. You don’t have much chance to be seen by traffic either, riding down that low. I was so happy to sell the beautiful RANS at a loss. My illness got better and I put longer stems and taller bars on my bikes and am biking again. I guess my $100 lesson is to ride more than a few blocks before buying, you may not be able to get used to it.